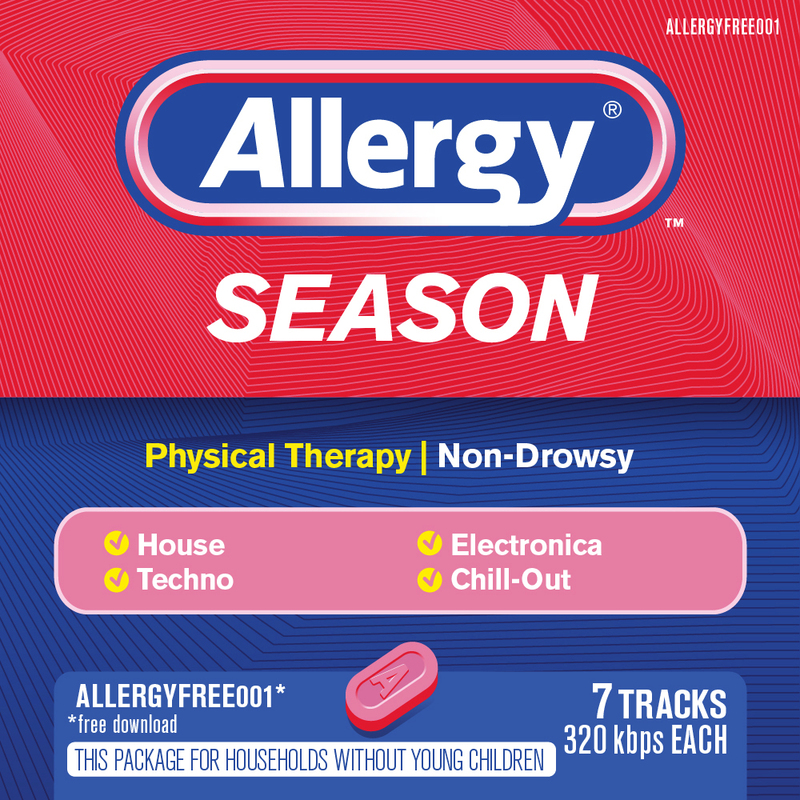 The latest venture from Physical Therapy, the New Jersey-born DJ/producer who has released on labels like Hippos In Tanks and Grizzly, is a new label called Allergy Season, an outlet for what his press release calls "genre-free, highly emotive dance music" by himself and like-minded friends. Now, the idea of an established DJ setting up their own imprint may not be the height of innovation, but Allergy Season isn't some vanity imprint. Judging from the artwork of the first release alone, their visual identity is already more strongly defined than many labels out there. We're giving away a free download of PT's new track Huff right here on Dummy. It's tagged on Soundcloud with the word "Benadryl" – a tag which, surprisingly, quite a few other tracks are using. Allergy Season will release the 'Non-Drowsy' EP on November 19th 2013.